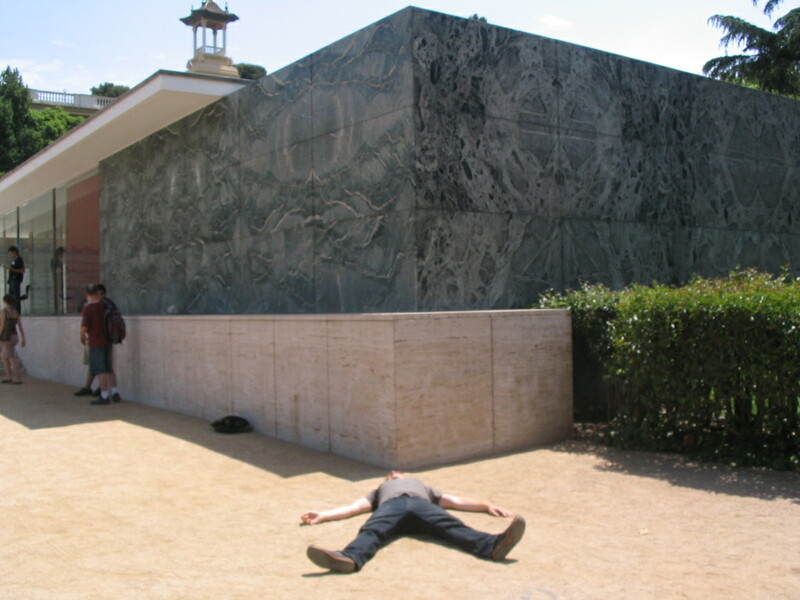 The next day we visited Mies van der Rohe's famous Barcelona Pavilion, or German Pavilion depending on your perspective, built for the city's 1929 International Exhibition. Jonathan, watch out for that wall! Oh dear, it got him. 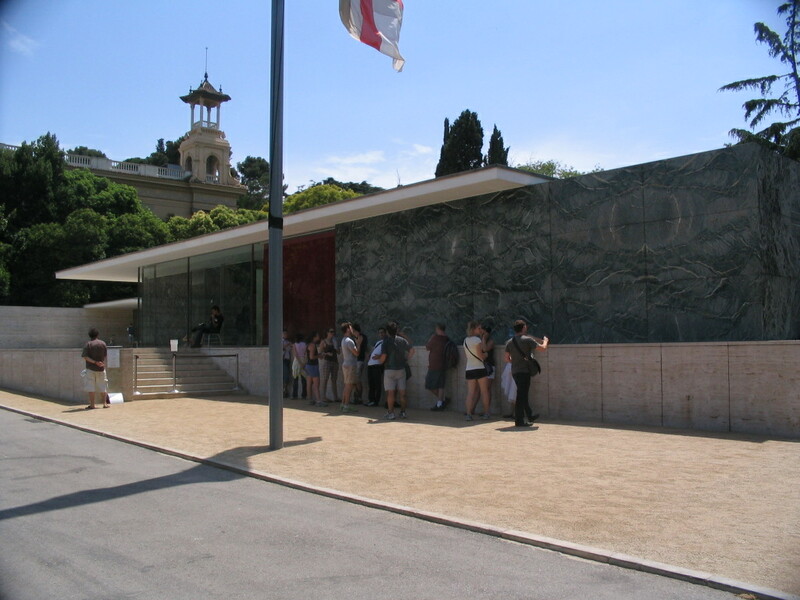 The Pavilion is just down the hill from the Palau Nacional (National Palace), constructed as the main building of the International Exhibition. 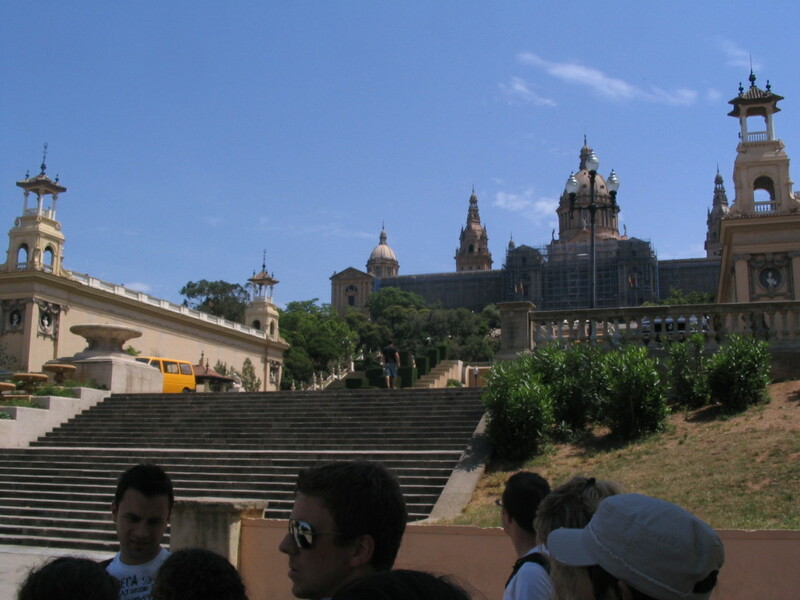 The Palau sits partway up the Montjuïc hillside, with buckets of stairs cascading down from it. 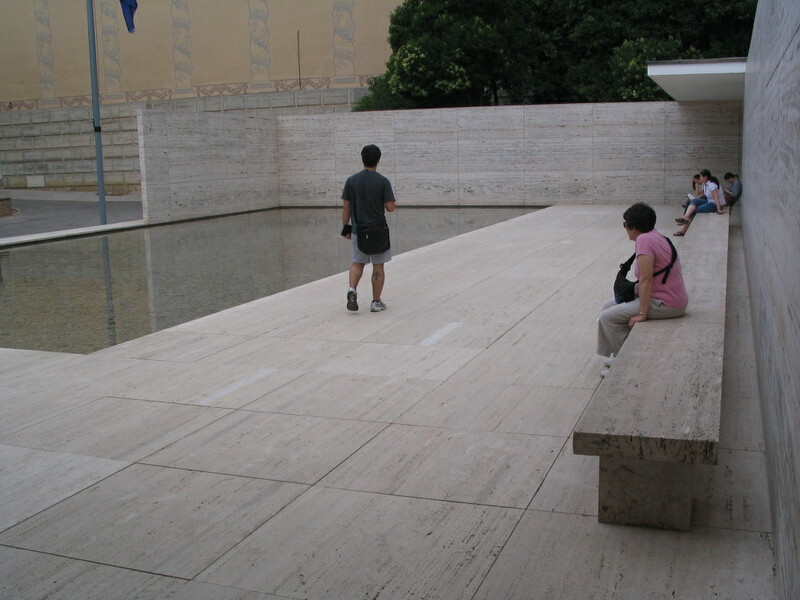 A look at the full extent of the Pavilion from across the way; in its horizontality it almost disappears from view at just that small distance. The Pavilion is composed mostly of opulent materials shaped into extremely simple geometry. 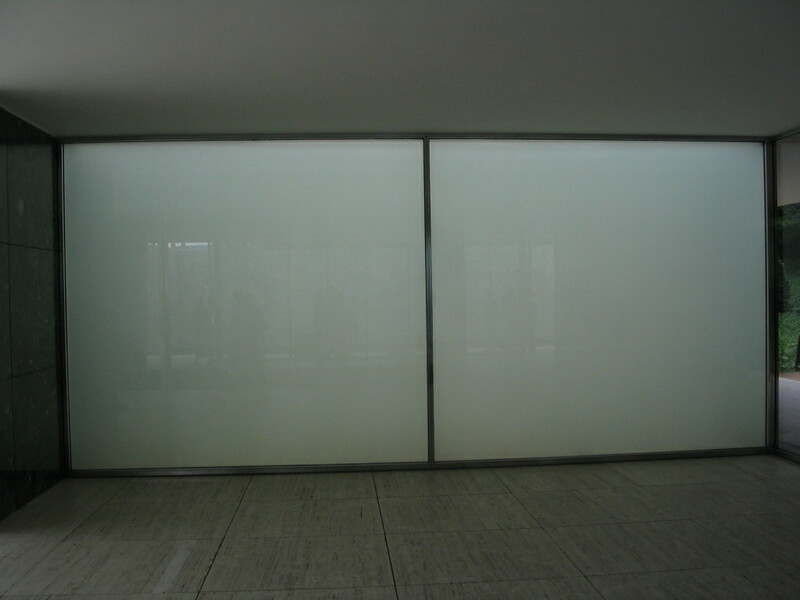 A translucent wall full of mystery. 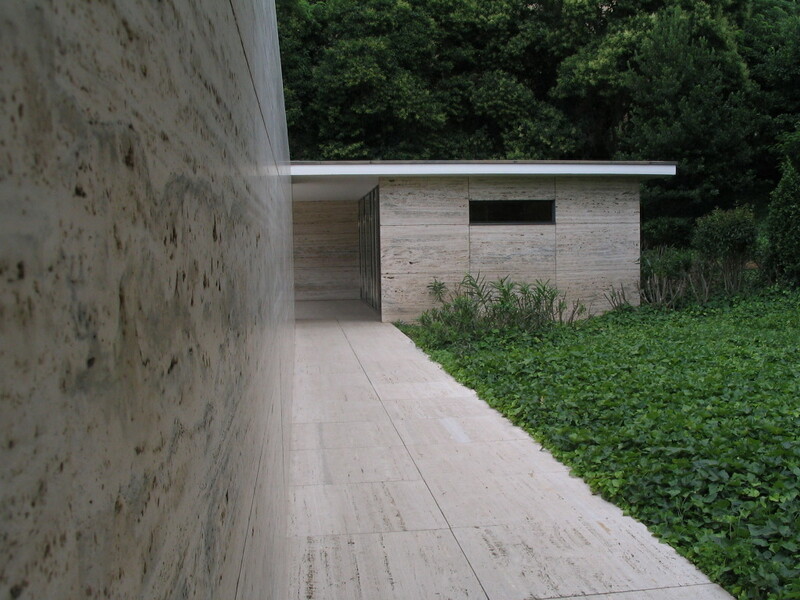 The building is a great lesson in how to produce create complex spaces from very little actual building. The strong connection between inside and outside is very appealing, such as the walled-in pool at the north end here. 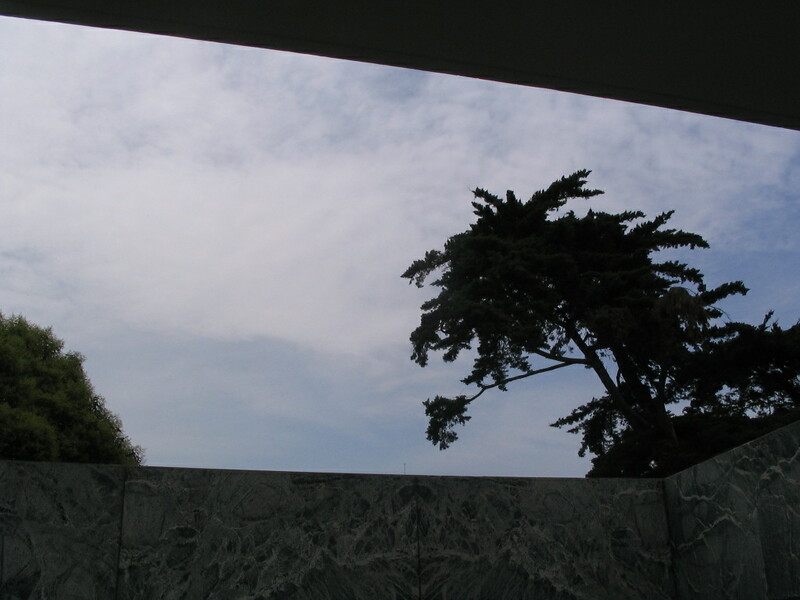 The sky over the north pool. 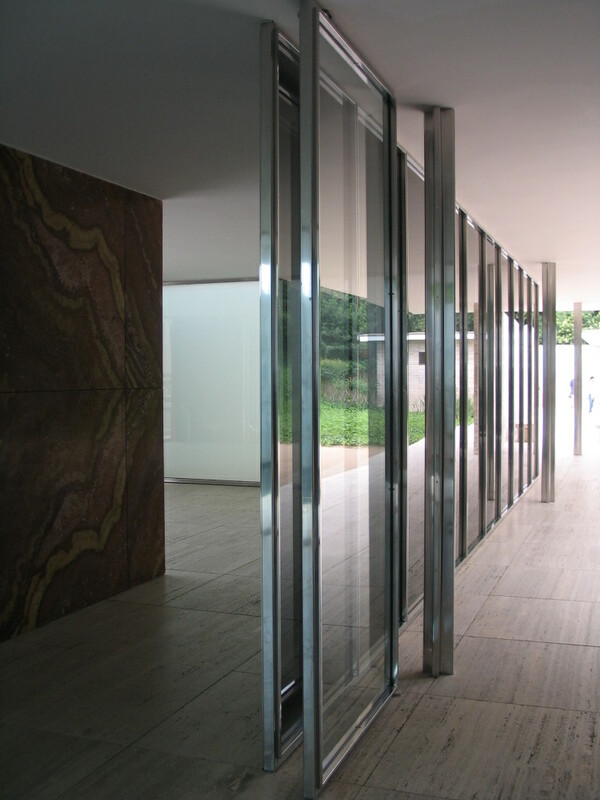 A look through the building to the south. Note the symmetry of the stone blocks at left. 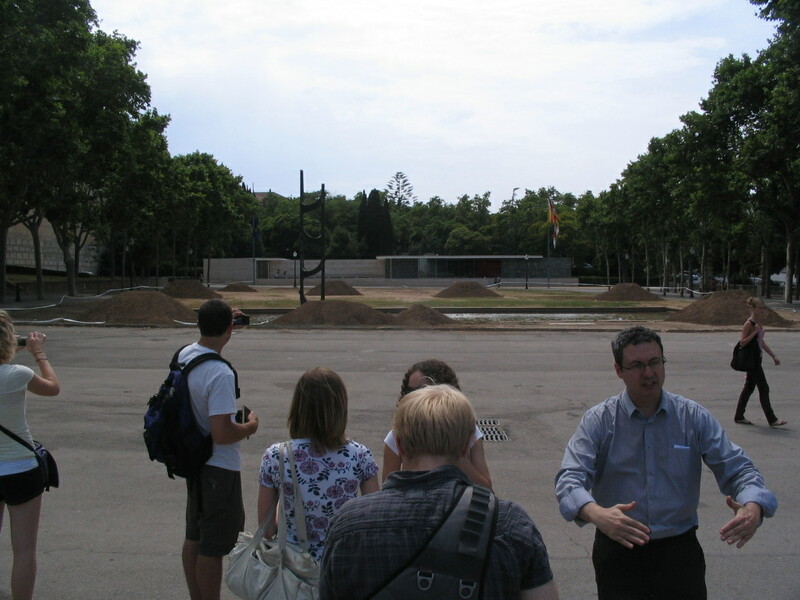 In back, the Pavilion gives way to junglistic vegetation. 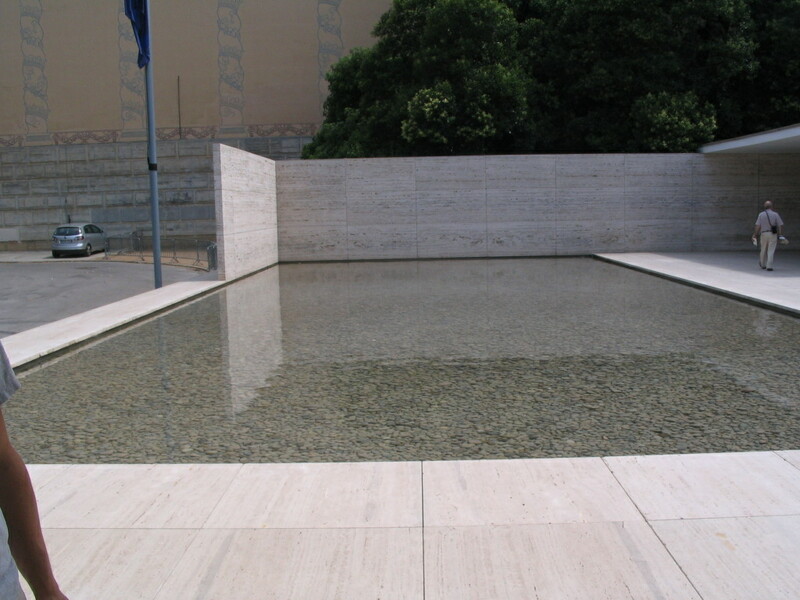 The south pool is a serene place. 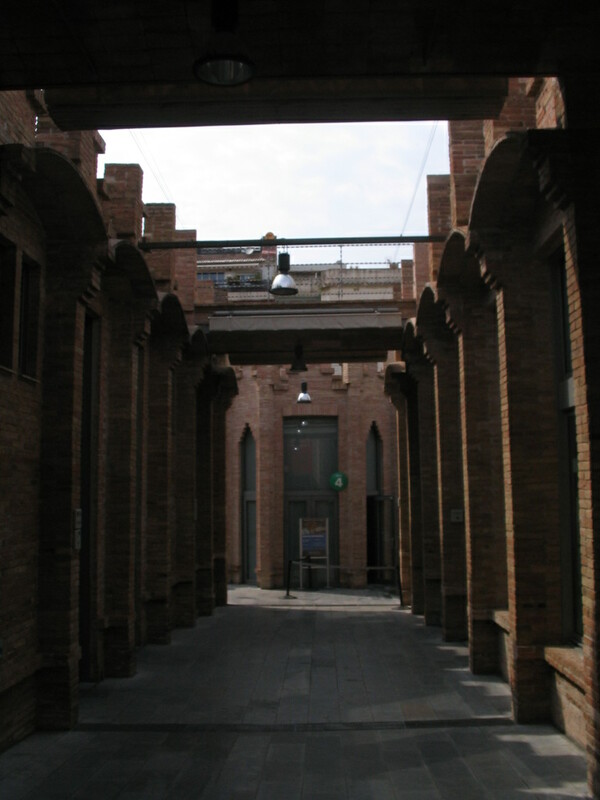 Just across the way is CaixaForum, an art center housed in a cool old factory designed by Josep Puig i Cadafalch, one of the preeminent Catalan Modernista architects, and built in 1911. 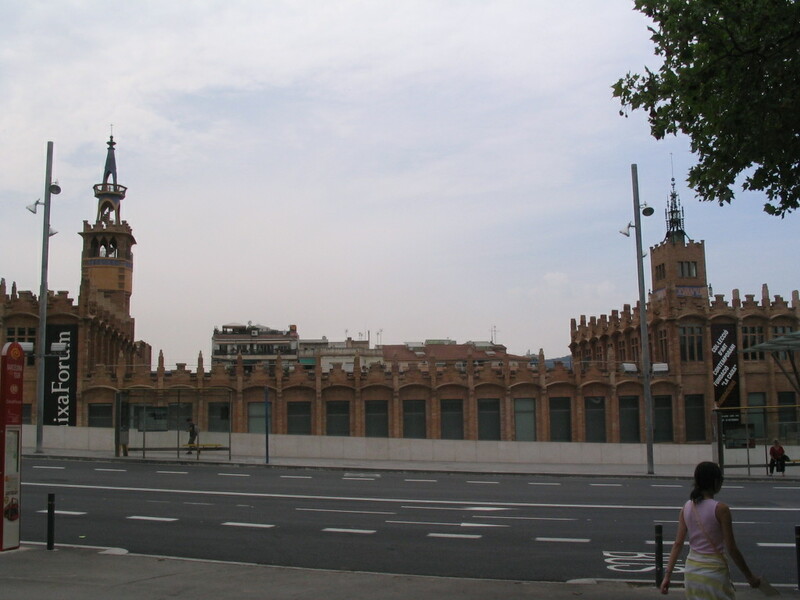 Arata Isozaki designed the conversion of the building into its current use in 2002. 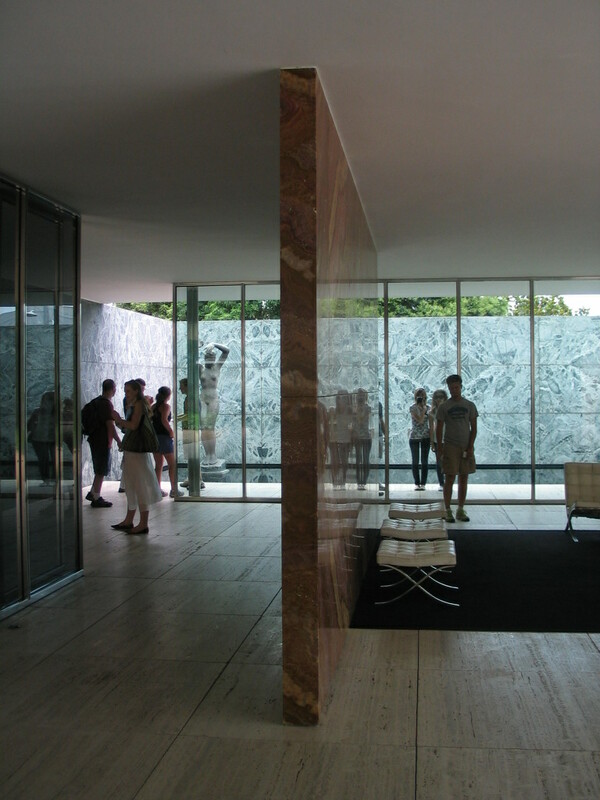 We took a quick look around, mostly in the inner-exterior spaces. 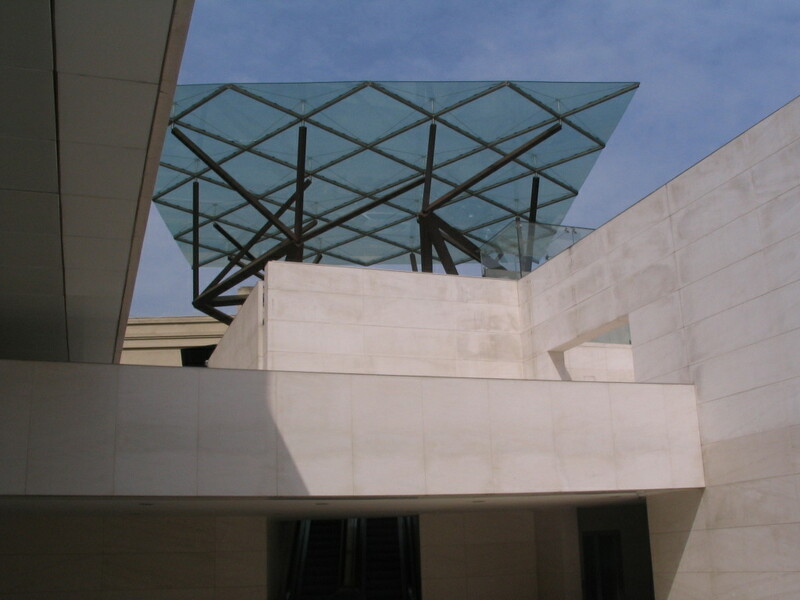 Isozaki's addition, including the dendritic entry canopy. 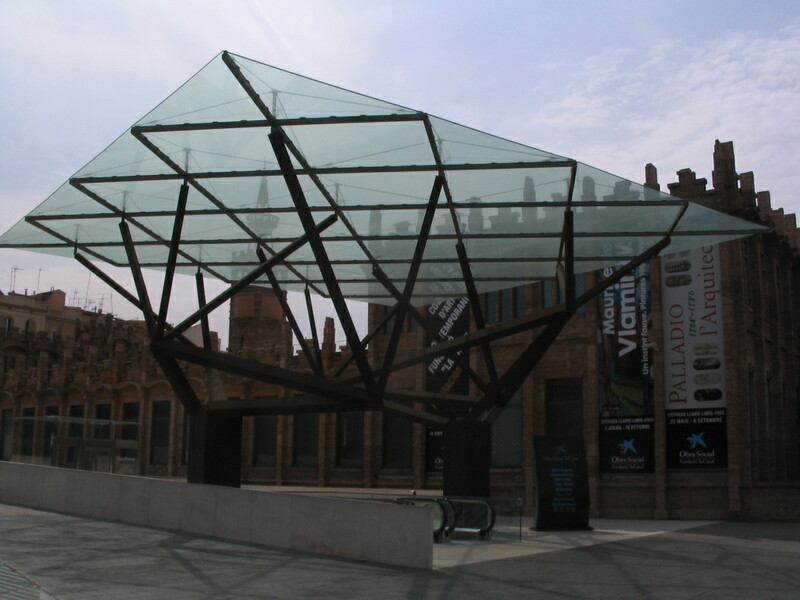 A full view of the canopy from the street. 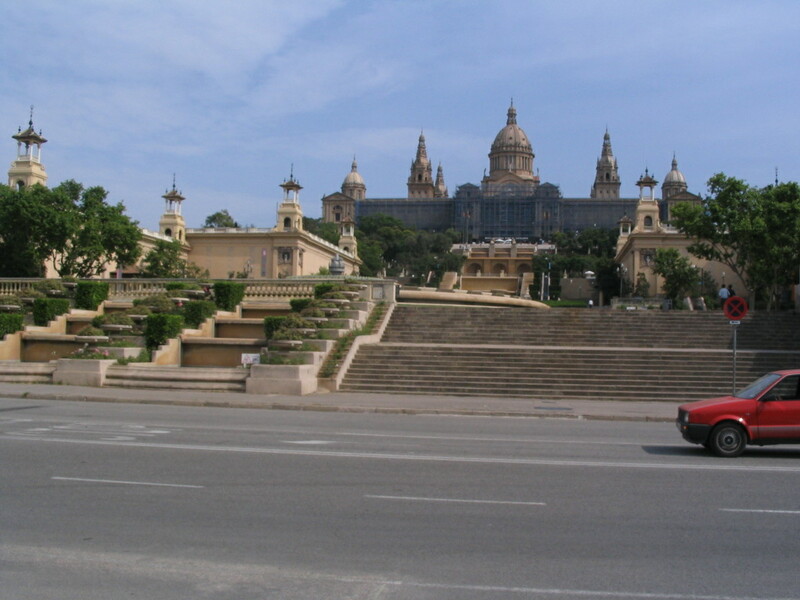 A view of the Palau Nacional approaching axiality. Another neat old building along Av. 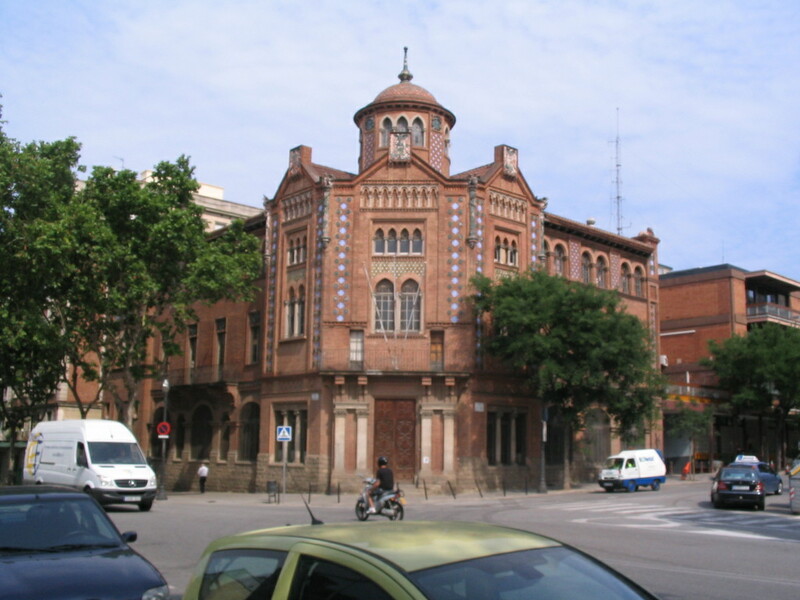 Rius i Taulet, at the corner of Carrer Guàrdia Urbana.